LG Electronics (LG) will introduce its advanced auto component technologies at the 2017 Frankfurt Motor Show (September 14-24), highlighted by the company’s first advanced OLED rear lamps to be featured in vehicles from a major European automaker. LG will also highlight connected car solutions for autonomous driving concept cars. LG’s debut at the Frankfurt Motor Show follows the company’s recent debut at major auto shows in Asia (Beijing and Shanghai) as well as North America (Detroit) following the launch of the LG Vehicle Components business division in 2013. 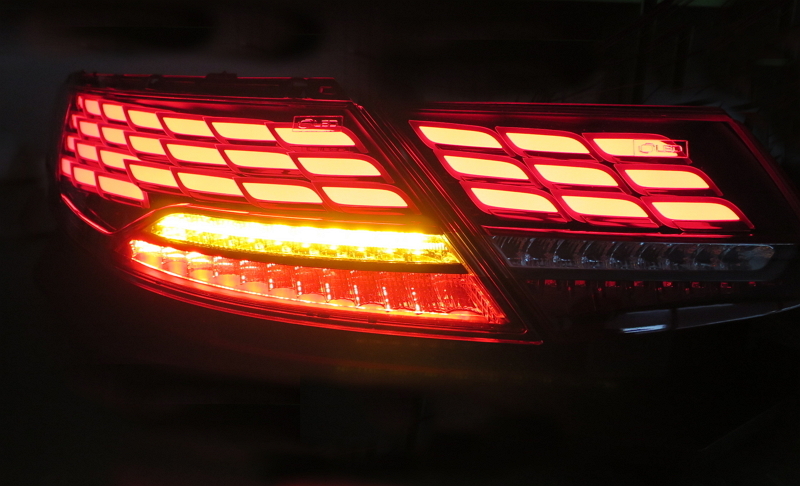 The LG-designed OLED rear lamp leverages the company’s global leadership in all things OLED. As the world’s leader in OLED TVs, LG has deep experience incorporating advanced OLED technologies in products such as smartphones, smartwatches and instrument panels. LG’s OLED rear lamp is more compact than conventional lighting modules thanks to the lack of a backlight unit, up to 85 to 90 percent smaller than typical rear lamps. LG’s OLED lamp also runs cooler which results in improved durability and longevity compared to conventional rear units. In addition to its new OLED rear ramp, LG plans to showcase other innovative products such as AV navigation systems, infotainment systems and convenience-enhancing devices such as ADAS cameras, LCD instrument panels and electric compressors, among others. LG Vehicle Components is LG’s fastest growing business and is expected to play a major role in the future growth of the corporation. This growth will be fueled to a large degree by the collaboration with General Motors on the Chevrolet Bolt EV, in which LG is supplying a total of 11 components and systems, including electric drive motors, power invertor modules, battery cells and high power distribution modules. For its contribution toward the success of the Chevy Bolt, LG was recognized with GM’s Innovation Award of the Year earlier this year. This comes top of other industry recognitions such as the Supplier Award from Renault and the Technology and Innovation Award from Volkswagen.